Any Everett divorce can be difficult and emotionally draining, but the handling of large assets can make the proceedings even more complicated and difficult. 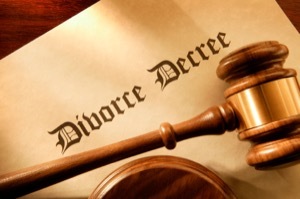 Reaching a settlement on a large marital estate requires a great deal of extra work from our Everett divorce lawyers. The role of your Everett family law attorney is to get you the best end result possible by negotiating a divorce settlement with your ex-spouse that protects you and your family’s interests well into the future. Family court cases involving large estates and numerous assets require your Everett attorney to conduct research, negotiate on your behalf, and participate in artful divorce litigation. Our Everett divorce attorneys have decades of combined experience handling large asset cases, and are skilled in all areas of family law. Experience in family court is necessary when seeking to negotiate an agreement during an Everett divorce. There are many ways our Everett divorce lawyers can help you throughout negotiations and in family court. One way is by retaining experts that are qualified to value your assets, while strategizing ways to weaken the opinions of opposing experts. Another direction our Everett lawyers could take is to conduct an investigation into the financial history of your ex-spouse so that any hidden assets can be revealed. Our attorneys will leave no stone unturned as they investigate assets including Everett businesses, professional practices, investment accounts, stock options, retirement accounts, pension funds, and properties both apparent and hidden. Some assets might be difficult to find such as interstate and international investments, but our Everett divorce attorneys will do the legwork needed in an attempt to find anything pertinent to your case. Your Everett family law attorney will do everything they can to reach a level of compensation on your behalf that is both equitable and just. We treat all of our Everett divorce cases as if they were our own, and are not afraid of the hard work required to get you the best end result possible. If you would like to find out more information about a high asset divorce in a private and confidential atmosphere, you can contact our law office and talk to a qualified Everett family law attorney. This preliminary case analysis will give you an idea of what to expect when navigating a divorce where large amounts of marital assets come into play. A divorce is a difficult time in your life, but you must remember that your actions now could well affect the well being of you and your Everett family in the future. Talk to one of our Everett divorce lawyers about your case so that you can take the next step toward a new way of life.